My son was just a little over 2 years old when he went to the library and borrowed the oddly named book “Don’t Let the Pigeon Drive the Bus!”. He fell in love with it immediately and I promptly bought two copies for him so we would always have a backup. It only took about two weeks for him to memorize, and would “read” it to me word for word several times every night. Imagine, then, his sheer joy when I downloaded the app Pigeon Presents Mo On The Go. (Mo Willems is the author and illustrator of children’s favorites such as Knuffle Bunny and the Gerald & Piggie books.) The app is comprised of mini-games featuring characters from Willems’ popular books as well as drawing lessons from Mo himself. 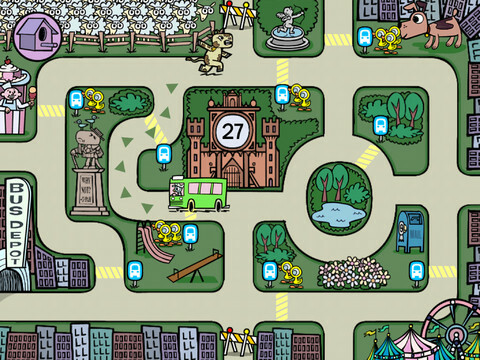 If your kids (or you) are fans of Willems’ books, you’ll instantly fall in love with this app. In Dream Drive, Pigeon can finally get behind the wheel and find the best route to pick up a bus full of ducklings. 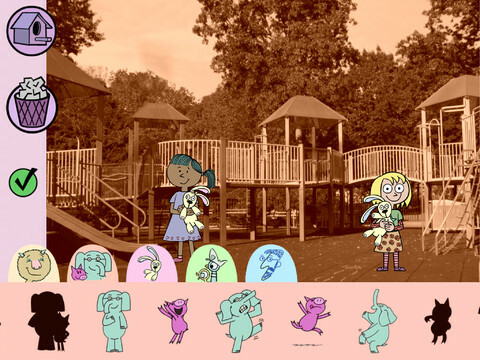 Players can also choose dance routines for BFFs Gerald & Piggie, or even create their own monster to see how scary they can make their combination of monster parts. 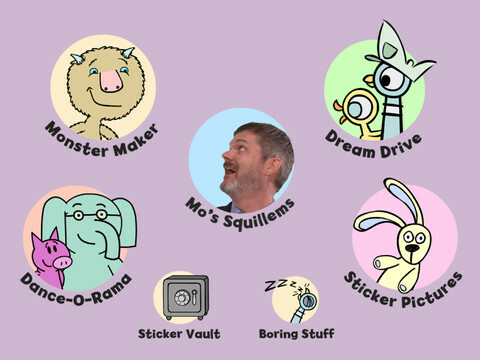 In my opinion, the best part of this app is Mo’s Squillems – a mini-game that shows players how to turn scribbles into artwork. This fosters creativity in children, and lets their imagination go wild. Players get stickers after every mini-game and that encourages kids and boosts confidence. My son, now 5, laughed hysterically playing this app. He was pretty stoked to finally let the Pigeon drive the bus and he made some masterpiece Squillems, and tried hard to be scared by his silly monster combos but laughed some more instead. Finally, you can let the pigeon drive the bus! !